We live in an extremely accelerated world. The digitization has not only advantages, but many disadvantages as well. Human relationships are pushed back, we moved farther away from the natural way of life, the values of our ancestors became obscured. The man of the 21st .century needs a crutch to help find the real values in the consumerist society. Maybe that’s why the HEMA (Historical European Martial Arts) is so popular as sport and hobby. The HEMA is a link between past and present, because it combines the modern sport with medieval european fencing art. Based on old historical sources, and codexes, it teaches fencing with different weapons, for instance rapiers, longswords, sabers, just as our anchestors did. 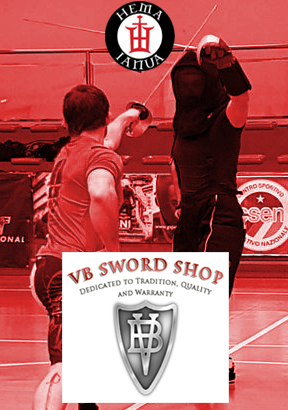 The VB Swordshop considers it a very important task to support the HEMA communities. Following the demand of fencing groups our company continuously develops production methods to get better and better fencing weapons available (HEMA sword, training sword). Take care and let’s protect our traditions, together!